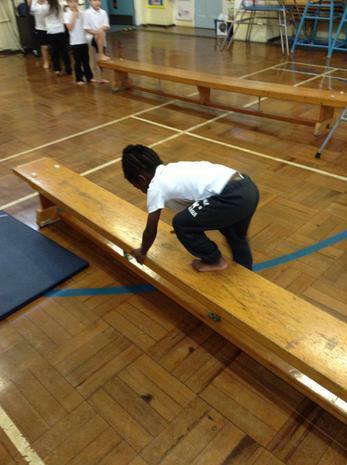 Our physical development affects how well we are able to learn, play and write. 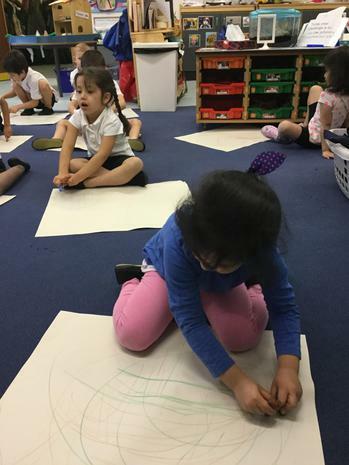 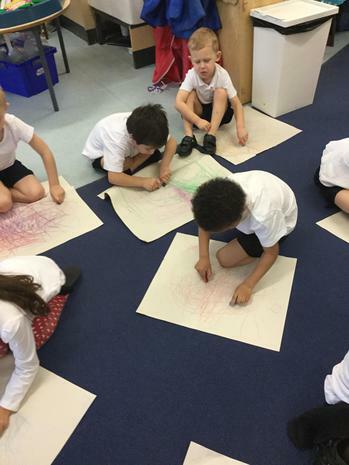 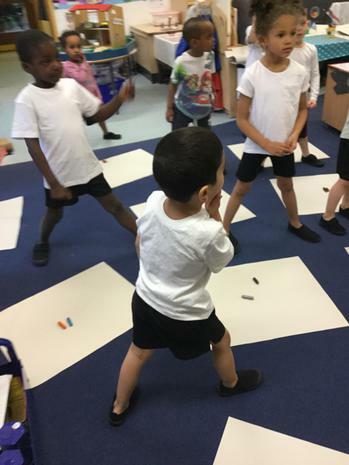 When we leave Reception, we aim to have good co-ordination in small and big movements, have a good sense of our own space, and moving around and handling tools with control. 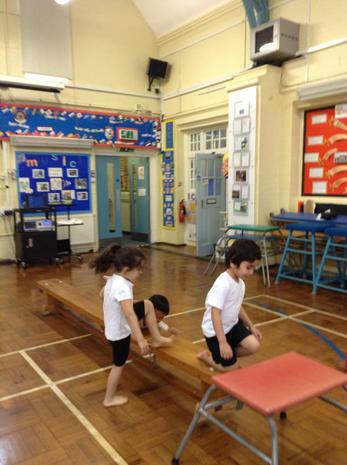 We understand about healthy food and exercise to keep our bodies fit and healthy. 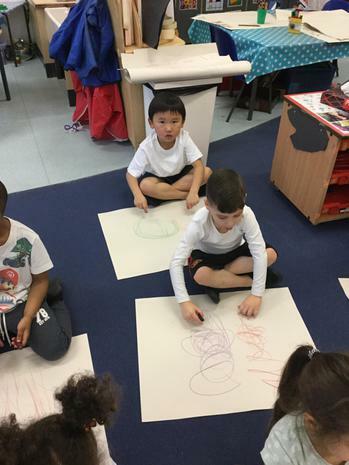 We can go to the toilet and wash our hands all by ourselves. 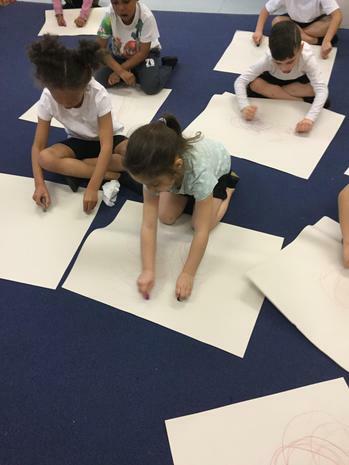 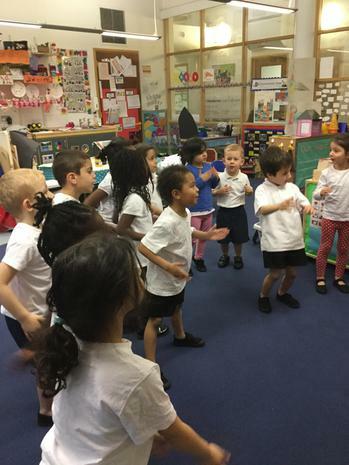 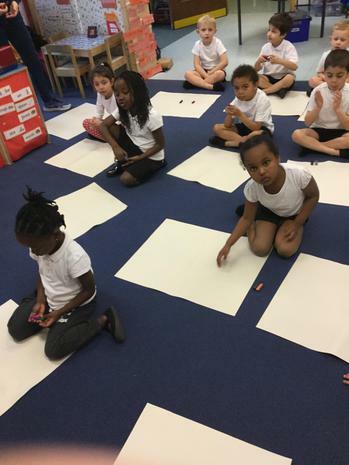 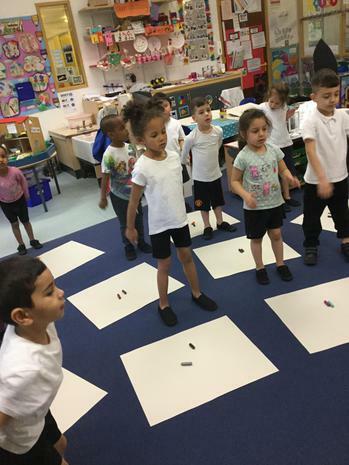 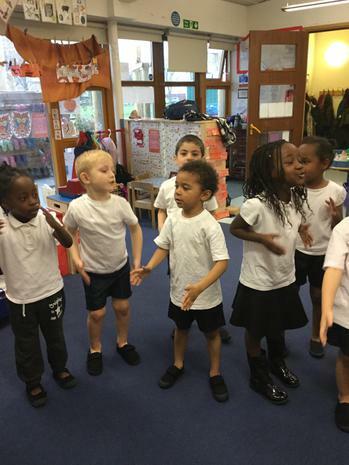 Reception classes have been enjoying Write Dance during their PE sessions, which is really helping their fine and gross motor development. 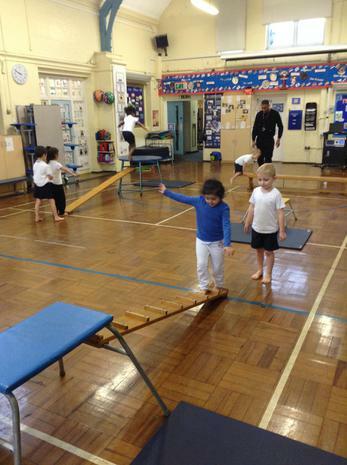 All of the reception classes are becoming more skilled and confident in using the gym apparatus during PE. 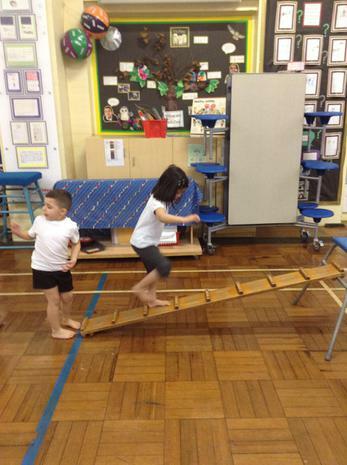 This half term we have been practising travelling over, under and through apparatus in different ways and using different parts of our bodies. 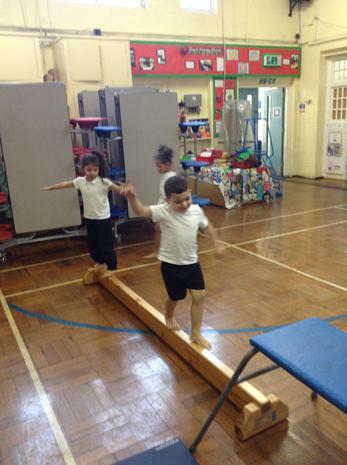 We learned how to use our tummy or back muscles to pull ourselves along, how to crawl using our elbows and knees, and how to balance along a narrow beam, using our arms to help us. 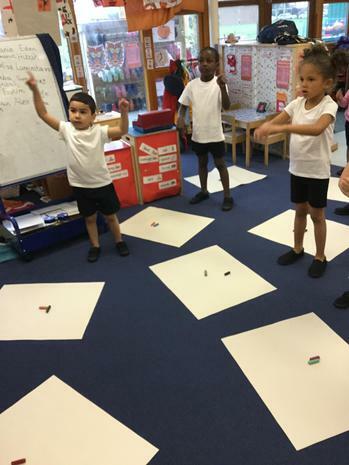 The children are quite creative at coming up with different ways of moving, including rolling and making wide or narrow shapes when we jump. 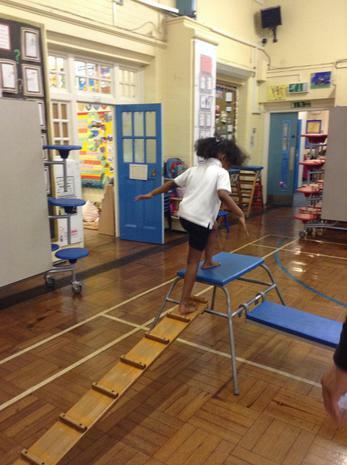 The children also understand the safety rules about using the PE equipment in the hall, and why it’s important for us to do exercise for our health. 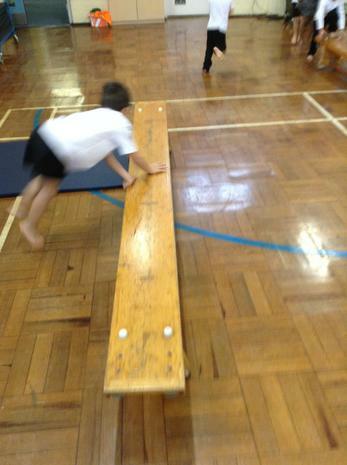 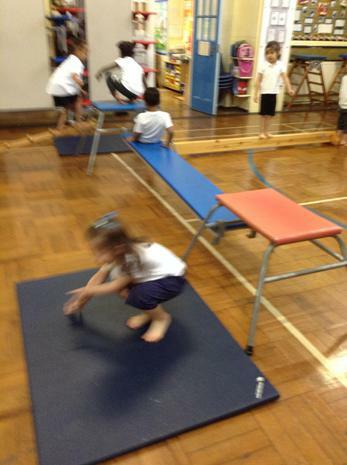 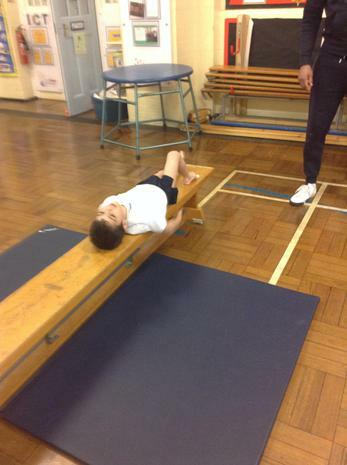 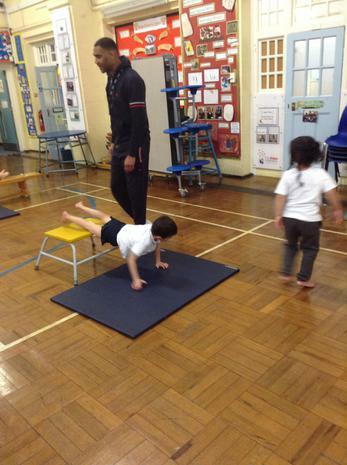 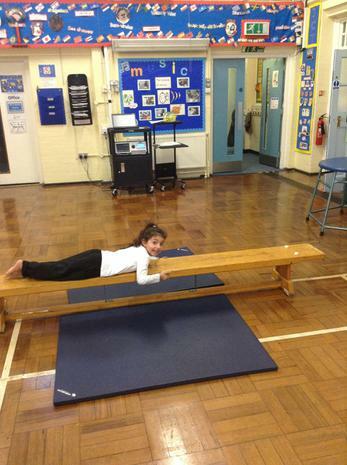 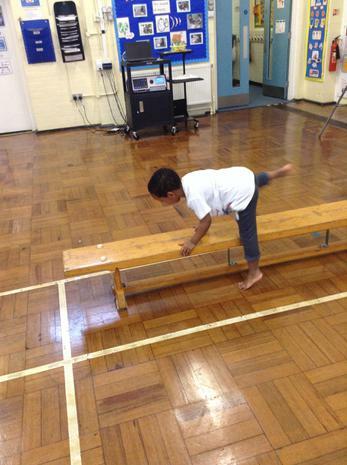 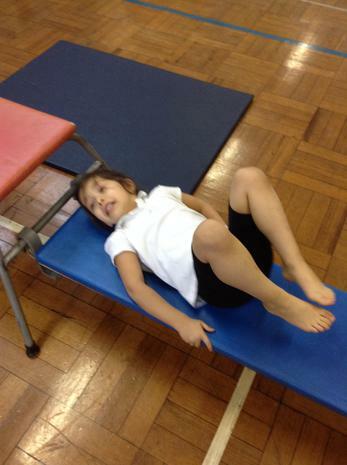 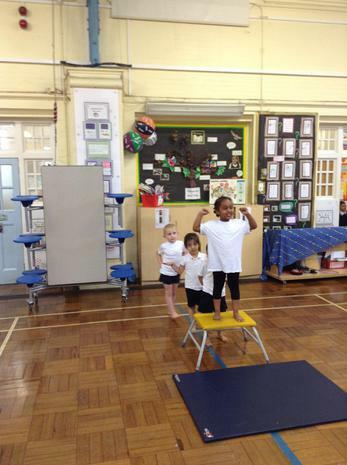 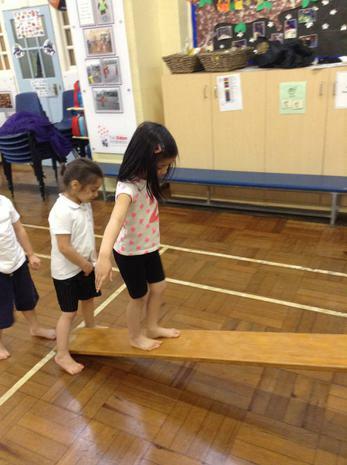 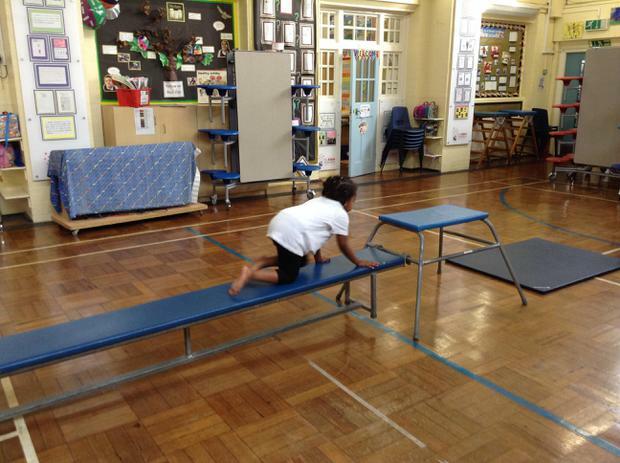 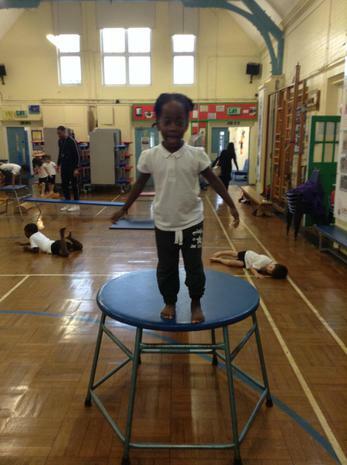 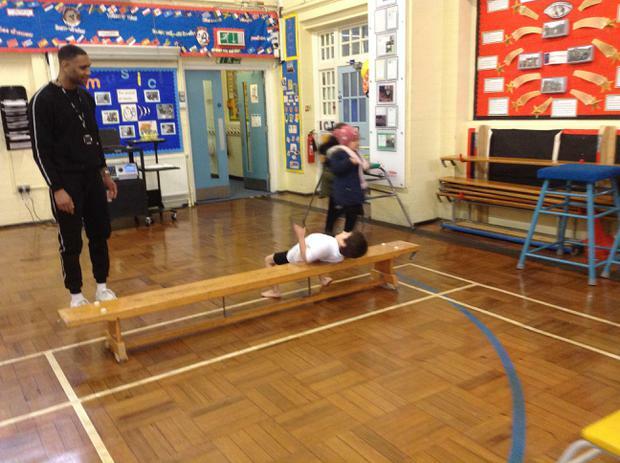 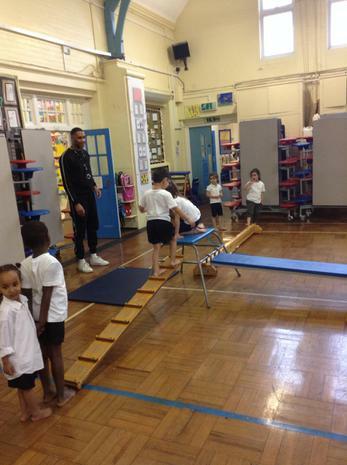 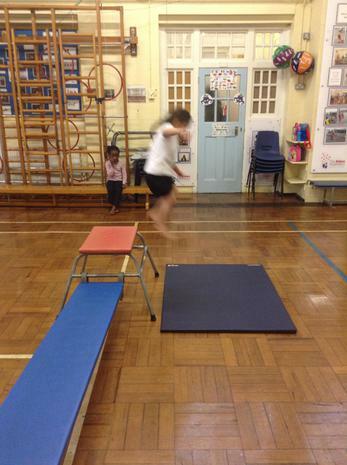 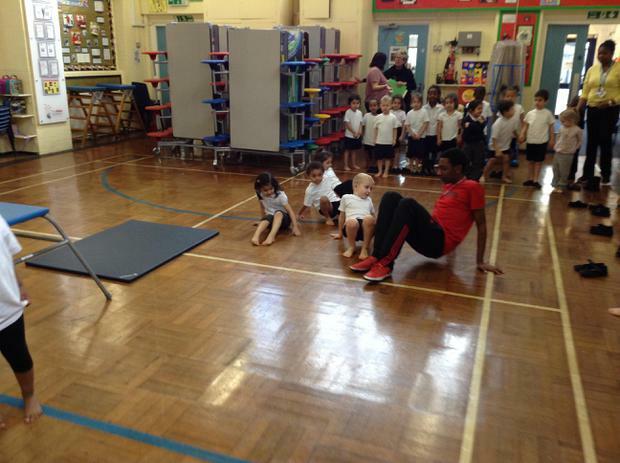 This term in PE we are doing gymnastics. 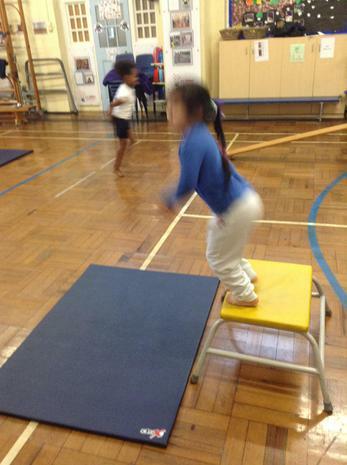 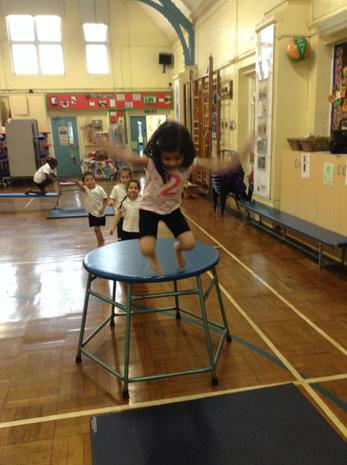 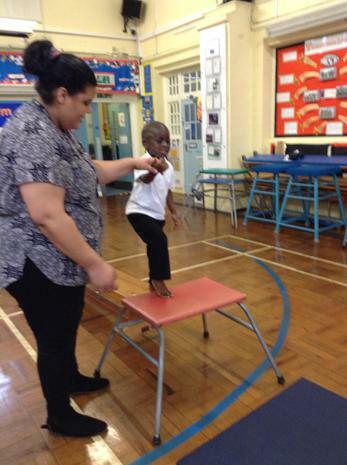 We have started by learning how to jump and land safely, using our arms to balance and bending our knees. 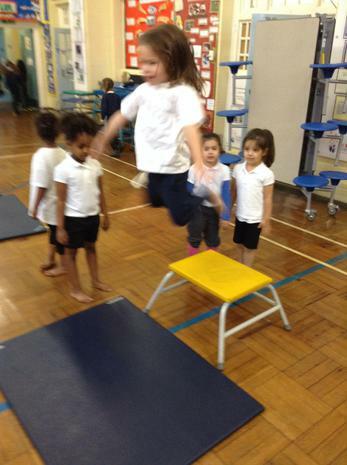 Some children have experimented with different types of jumps, such as star jumps or spins. 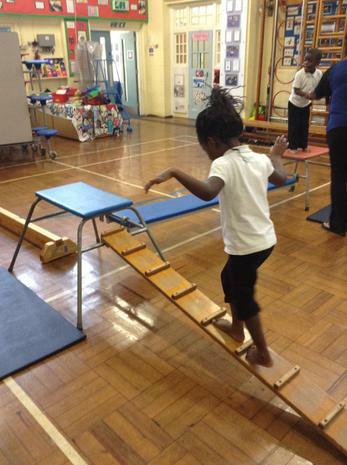 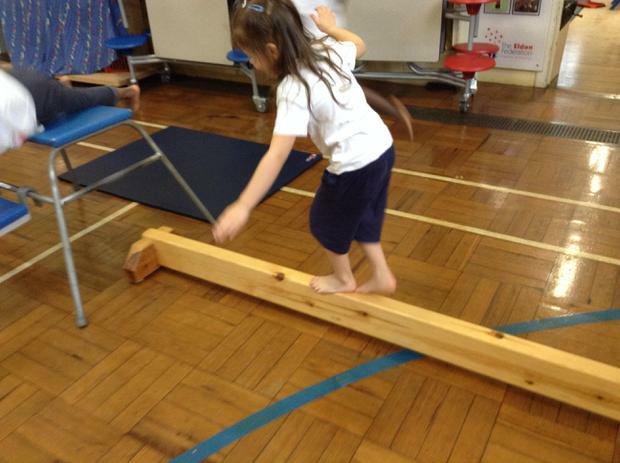 The children have been exploring how to use different parts of their body to travel along various apparatus. 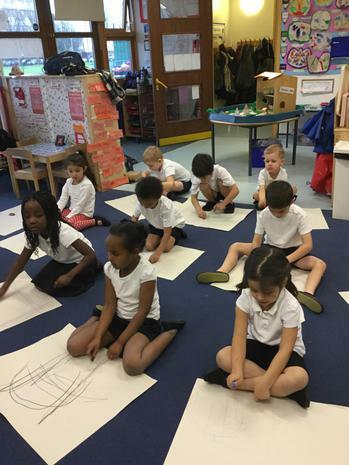 We are focussing on developing our small and large muscles, which will help us with our writing. 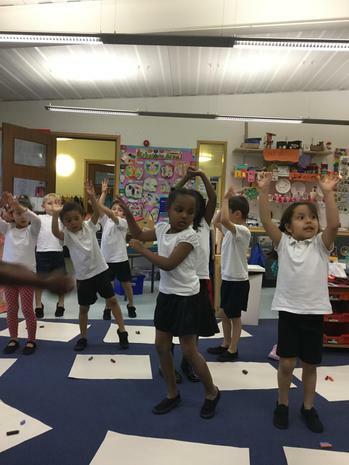 Play dough helps strengthen the muscles in our fingers, hands, arms and even our shoulders – especially if we have the right equipment! 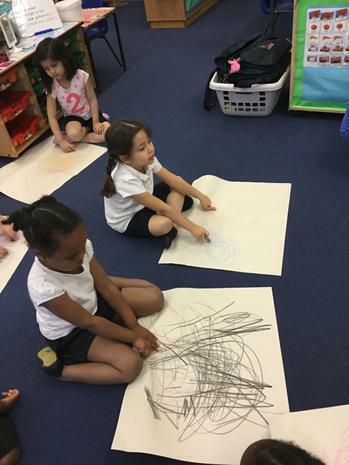 We love pushing, rolling, squeezing and poking the play dough using cooking utensils and our fingers.